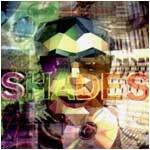 While at Cyberlife, Andrew "Barn" Barnabas created a CD of computer game-inspired music called Shades, on which there is a 11-minute track entitled Creatures Montage filled with ambient music derived from game sounds. Some of you may remember the soundtrack to the introductory movie - now you know where it came from! There are two known samples of this track, one on an archive page and one on Bob and Barn's ambient music page; unfortunately, the CD itself is sold out. As luck would have it, Andrew has given permission for the Creatures Wiki to host the entire track! Thanks, Andrew! If you liked Creatures Montage, why not go visit Bob and Barn and try out some of their more recent work? Please note that the hosting permission granted by Andrew only extends to this website, and is for noncommercial, personal use. You may not upload Creatures Montage elsewhere or link to its file without getting similar permission yourself. Voice samples contributed by Andrew Sachs. This page was last modified on 14 November 2017, at 12:47.